For over 20 years, Lina has built a broad base of leadership development experience including executive coaching and team coaching. She brings her extensive corporate leadership background into her coaching work. 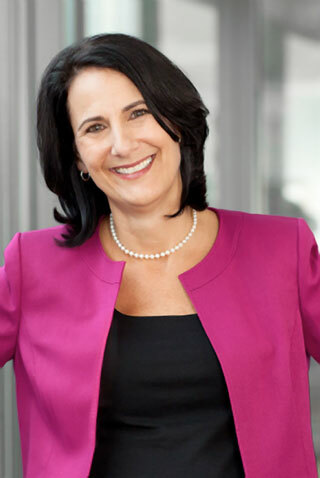 In her last corporate role, she was Vice President of Management Effectiveness at Fidelity where she worked with senior executives and their teams to improve team results and served as a coach to senior Fidelity leaders. Prior to Fidelity, Lina was a District Manager for Manpower, Inc. with P&L responsibility for four offices. Lina specializes in helping leaders and leadership teams explore what is important for success in the context of their organization. One of her key strengths is facilitating essential conversations that clients haven’t had before. Lina holds a BA in Political Science from the University of Colorado. Lina completed her coach training through the Massachusetts School of Professional Psychology Graduate Certificate in Executive Coaching (GCEC). She received additional training through CRR Global and the Coaches Training Institute. She is certified in Organization and Relationship Systems Coaching (ORSCC); Team Diagnostic Assessment™; The Leadership Circle® Profile and Culture Survey; Myers-Briggs Type Indicator (MBTI); and the Results Accelerator System.